Sun, Oct 14 - 10:30am, 12:00pm and 2:00pm. Each tour is approx. 1 hour long. 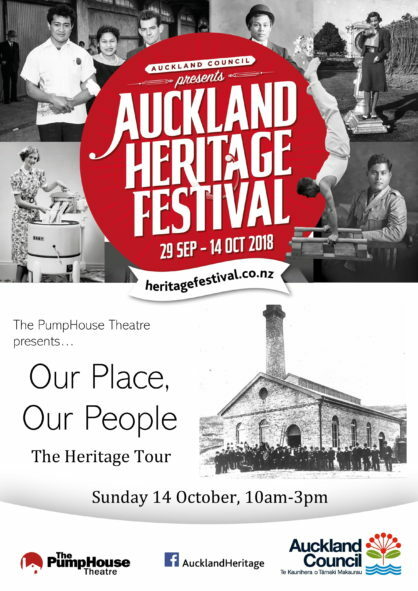 On this Heritage tour of The PumpHouse Theatre, you’ll learn about its history from pre-European times to today. There’ll be stories of the people who have played a part in the theatre’s long history. From its days as a water pumping station, through the campaign to save it from demolition in the 1960s-70s, to those who have helped shape it as a successful community theatre. You’ll be able to access all areas – backstage, onstage and front of house. Visit the outdoor amphitheatre, Coal Bunker Studio, Genevieve Becroft Auditorium, Peg Escott Greenroom, dressing room, actors’ lounge, box office and theatre foyer … and you might meet a ghost or two!